On the first Friday, of the month during the school year, we host Parents Night Out at Forest Ridge Elementary. We provide activities for the children from 6-9pm so that parents are able to have a night out. The Feed the Children ministry helps with weekend food for a group of 10-12 special needs children at Lake Labish Elementary. The Food Bank, along with donations from our church family, support this program. Please do not put these items in the food bank collection barrels at church. 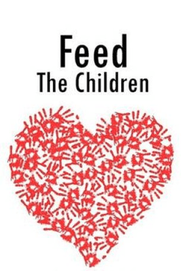 All items for "Feeding the Children" should be put in the box marked for this purpose. Keizer Clear Lake United Methodist joined with four other other Keizer churches in 2007 to form the Keizer Community Food Bank. Other churches participating in the Keizer Food Bank are: John Knox Presbyterian, Keizer Christian, Saint Edwards Catholic and Faith Lutheran. The Keizer Community Food Bank is an extension of Marion Polk Food Share/Oregon Food Bank .